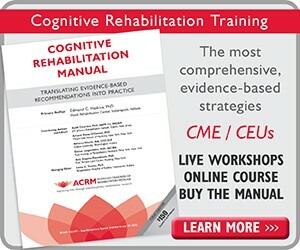 The ACRM Brain Injury Interdisciplinary Special Interest Group (BI-ISIG) literally wrote the book on evidence-based strategies for brain injury. And they turned it into this popular two-day course. 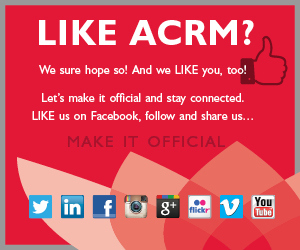 A whole bunch of different job titles find themselves at this top-notch ACRM training course. 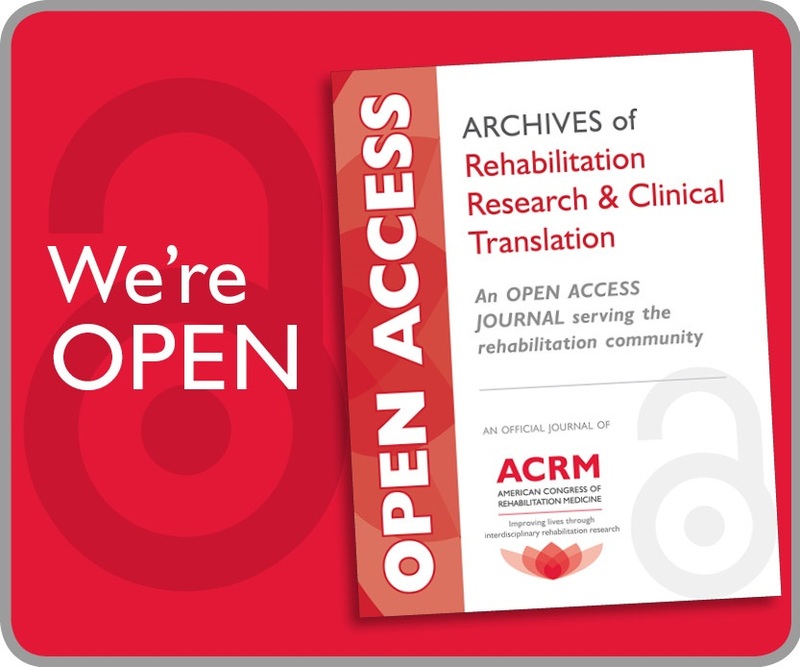 Usually 1/3 to 1/2 are occupational therapists, followed by speech-language professionals and physicians and plenty of neuropsychologists, RN/rehab nurses, physiotherapists, psychologists, educators, social workers, and more. Bring the benefits of this high-caliber training back to your whole team. 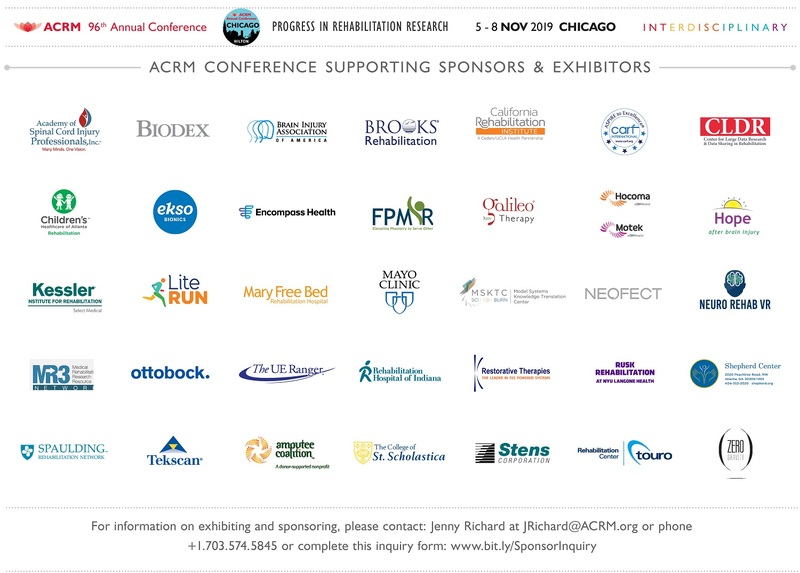 Attend with Team members for less — ask about group discounts. 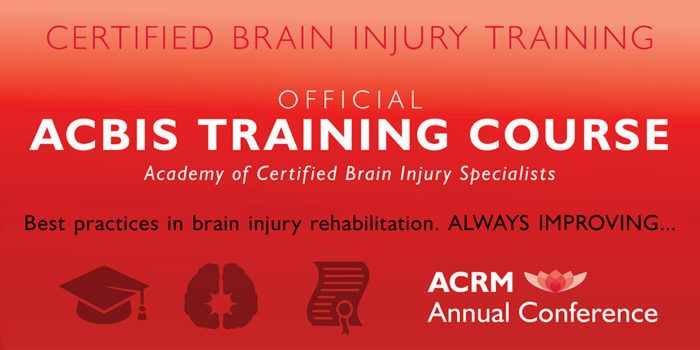 Sign-up to receive news about future brain injury training courses + workshops.